The last “clean” voice recordings are done… what else? Hi there! 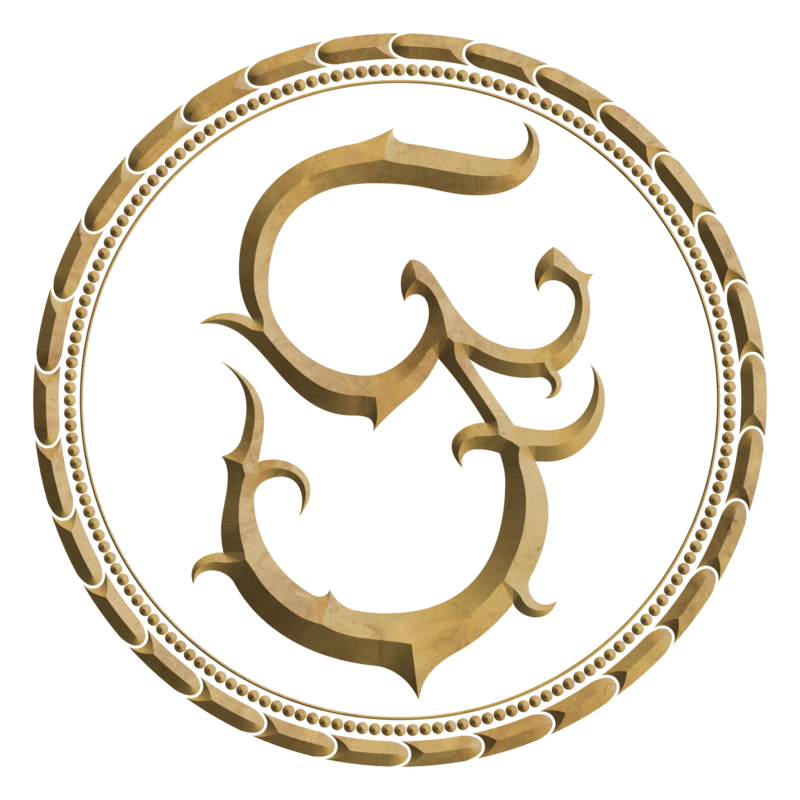 It has been a long time ago since we let you know something about our recording process, well at least through this blog. As you may notice we were publishing several videos as studio diaries. Yo can find them on our YouTube channel. We recorded our last “clean” voices yesterday 6th december at High Lake Hill studio and we’ll be recording our powerful growling voice very soon. By the way, we have some surprises for our listeners as well. We recorded drums, more guitars and bass sessions, harmonium, sitar, accordion, violin, and now the second voice session. A lot happened, in fact! That’s why we did not have time to write about all of this until now. It took us already 10 months to get to this point and look back and realize that our album is almost completely recorded. We have great plans and perspectives for it and we’ll be pleased to share them with you. Now, you will probably ask why we began to record first guitars and bass? If you follow our blogs you’d read that we were looking for a drummer for this new album. Steve Vanderperren doesn’t play for us anymore since he decided it so. We also like to discover new talented musicians in order to give a fresh musical touch to our project. So we knew it will take us long to record the new album and to replace Vanderperren’s skills. That’s why we decided to record the first guitar and bass tracks with strict metronome lines in order to have the music ideas done. The drummer should follow click tracks, programmed drums and add his own input following our melodies. 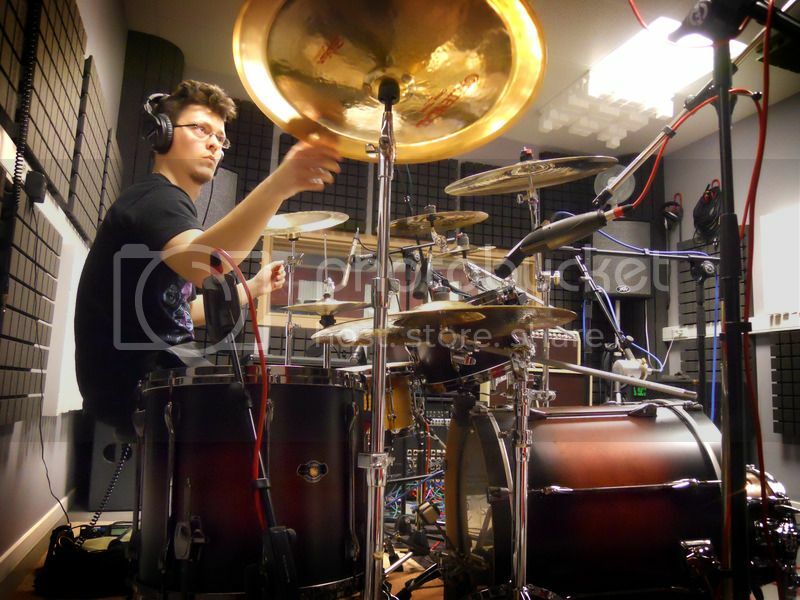 Christopher Vigre (Ciffe), drummer of the Norwegian Ancestral Legacy and Isadora’s husband, recorded also the first songs for us with electric drums in order to have the musical structure and the percussive ideas. This would help the new drummer find his own way to play. We appreciate your help a lot, Ciffe! It was very useful. After looking intensively for another drummer we found Maxime Moreira. “A double-kick-monster”, like Hamlet says. And you can actually listen to his performance and find it out by yourself here. 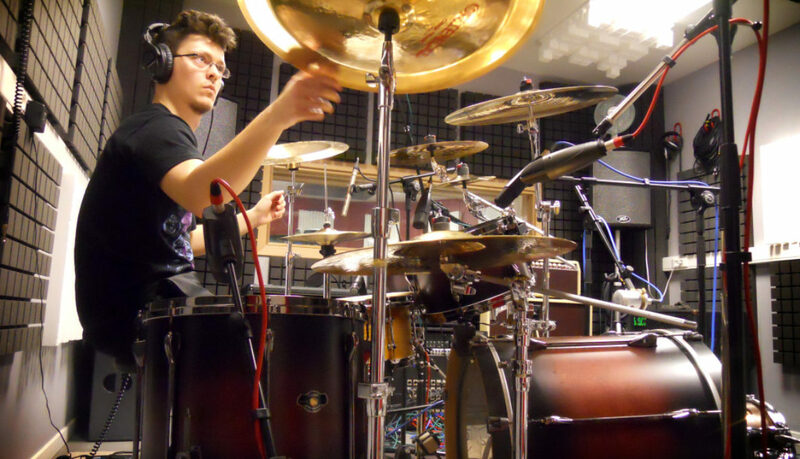 Moreira is Anthrophagus’s drummer, a Death Metal band from Halle, Belgium. Maxime was recommended by his bandmate, Glenn Leuckx. After watching some of his videos playing drums we knew he was going to give our music the character we wanted to. Our album has his personal music discharge in our metal and not so metalish songs. We added harmonium and sitar, just like we did in our debut album, Om. The sitar plays a secondary role this time. You’ll listen the sitar just in one music piece and the harmonium goes along with the atmosphere of the music. Check out a very short premix video of the sitar performance by Isabel Restrepo. 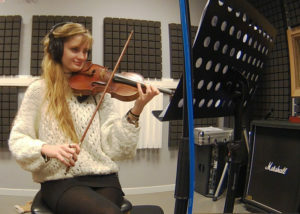 Loni Cornelis and Bram van Weverberg recorded for us also some violin and accordion session. Yes, accordion, you read it good. 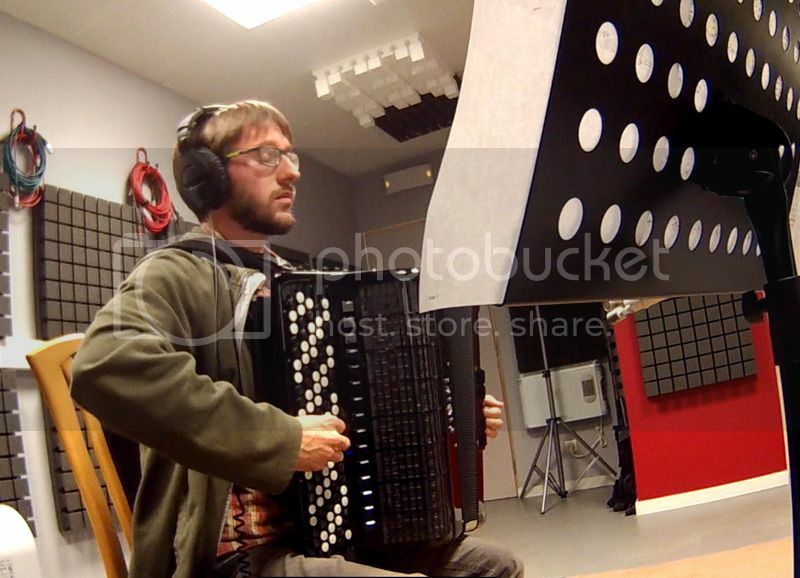 If you are curious about what is the result of such a combination in our music: avant-garde metal & accordion music you should stay tuned. Loni’s performance is just so sweet as her personality. You can also check this link out. The album is expected to be released next year. The following steps are for Bart van Lier, our music producer, who’s going to take care of the edition and mixing. We are so curious as you to listen to the final result! In the meantime we enjoy the whole process a lot and we will continue publishing the studio diary episodes so that you can follow the recordings from our perspective. You’ll find Studio Diary Episode 5 on this link! Have a nice week dear reader/listener! Christmas Times And Roadmap Towards The Horizon.